Children in foster care or from families receiving public assistance (TANF or SSI) are eligible for Head Start and Early Head Start services regardless of income. Ten percent of enrollments are offered to children with disabilities. Children who come from families with slightly higher income may be able to participate in Head Start when space is available. Your local program can discuss this with you. Easter Seals serves children and adults with disabilities and special needs with services designed to meet their individual needs. Easter Seals also includes families as active members of any therapy program, and offers the support families need. Visit http://www.easterseals.com/site/PageServer for more information on Easter Seals. The Home and Community Based (HCB) Waiver program provides Medicaid coverage to individuals who are aged, or disabled, and who may, without these services, be admitted to a nursing facility. These individuals must meet nursing facility level of care to be eligible to participate in the HCB Waiver program. The Weisskopf Center for the Evaluation of Children (WCEC) in the Department of Pediatrics at the University of Louisville, is a unique center that provides diagnostic evaluations to infants and children with, or at risk for, developmental disabilities, congenital anomalies, genetic disorders, autism, organic behavior disorders (ADHD) and learning disabilities, as well as genetic counseling to adults. The WCEC serves as a demonstrative model for the provision of evaluation and treatment services to children and their families with autism, other developmental disabilities, and genetic disorders. Down Syndrome of Louisville, Inc. (DSL) is a non-profit organization founded in 1977 by Mary Carter, an early childhood educator who established the first Early Intervention Education program for children with Down syndrome in Kentucky. Our grassroots organization grew with parent support to incorporate in 1991 to offer services for individuals with Down syndrome of all ages. BUSINESS HOURS: 9:00am-7:00pm, Monday-Thursday & 9:00am-5:00pm on Friday, and by appointment. 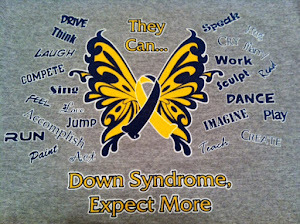 MISSION is to enhance the quality of life for individuals with Down syndrome and their families by providing support, information, education, resources, networking, and activities, while advocating in the community and state. GRADSA’s mission is to enable families enriched with the Down syndrome connection to share resources, build friendships, and advocate together for the future of individuals with Down syndrome. They are located in Owensboro, Kentucky, and serve the counties of Daviess, Hancock, Henderson, McLean, Ohio, Union, and Webster. At Stewart Home School, our student-athletes can participate in a variety of sports, including basketball, bowling, golf, cheerleading, equestrian, skiing, snowshoeing, soccer, softball, swimming, track & field and weightlifting. Playing a sport at Stewart Home School is a great way to have fun, make friends and stay healthy! Ups N Downs of Western Kentucky mission is to promote public awareness and acceptance of individuals with Down syndrome by providing information, resources and support in our community. The Arc of Kentucky holds a Vision of a positive future for individuals with intellectual and developmental disabilities , a future of communities with services and supports that will promote lives of value for Kentuckians with intellectual and developmental disabilities. The Arc of Kentucky believes that individuals with intellectual and developmental disabilities are contributing members of schools, work places, churches, synagogues, neighborhoods, and their communities. The Arc values services and supports that enhance the quality of life through interdependence, friendship, choice, and respect for individuals with intellectual and developmental disabilities.